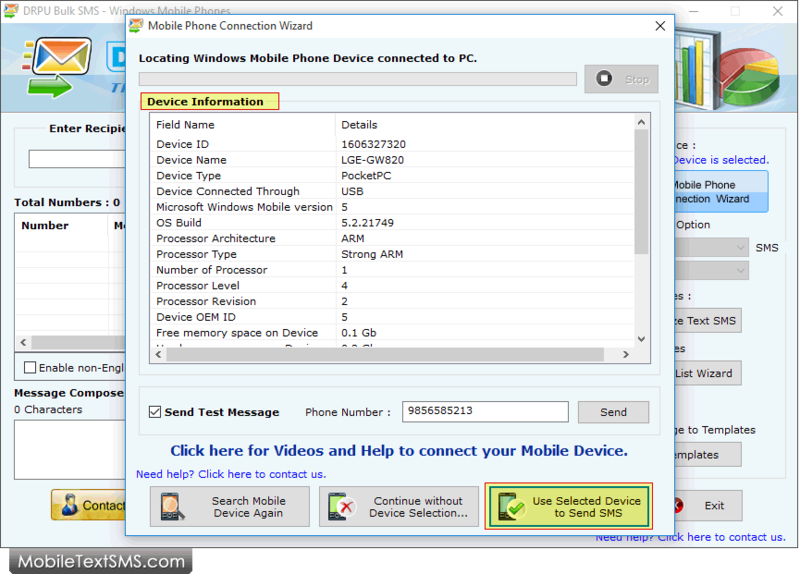 If your mobile device is connected to PC successfully, you can use selected mobile device to send SMS by clicking on ‘Use Selected Device to Send SMS’ button. 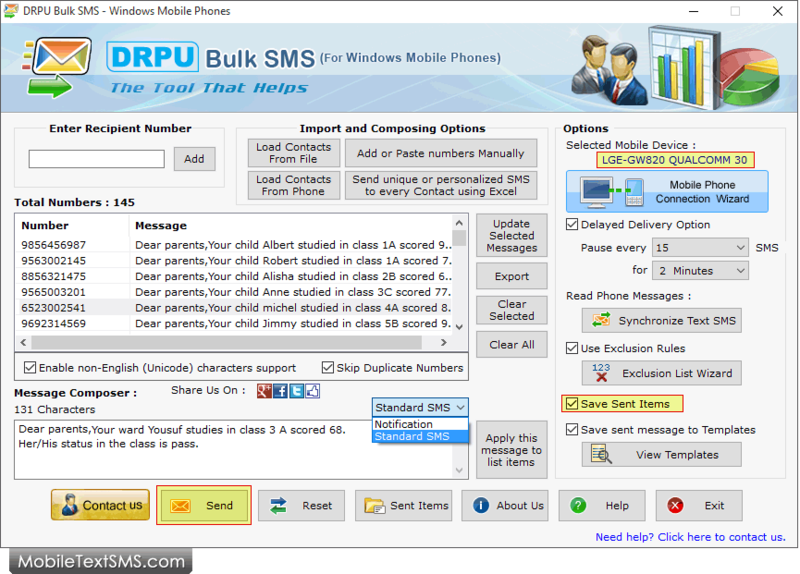 Load Contacts using 'Import and Composing Options' , choose Standard SMS or Notifications and other features like Delayed Delivery Option. Currently showing Message Sending Process.